After two projects in 2018: the famous French Bakery Vol 2 on which he had invited very beautiful people: Roméo Elvis, Di-Meh, Slimka, Jok’air, 13 Block … and La Potence with his friend Biffty, DJ Weedim has returned to the stove and will put the cover with a new album scheduled for April 5 entitled French Bakery 20/20. DJ Weedim x Alkpote: winning combination To teaser the project, we first got the video of Coup de fil Feat. 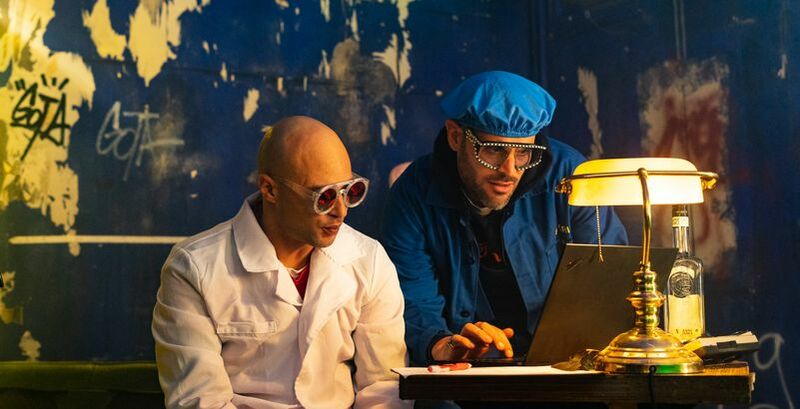 Captaine Roshi and now the pastry chef of French rap regale with the Macintosh clip feat the inevitable Alkpote and this is the dinguerie we hoped for. The Dirty Emperor does the same thing every time and it’s cool to hear the Weedim voice playing his verse. For the visual it’s 420 workshop that has been responsible for staging the two acolytes who turn into computer experts who charcoal and concoct recipes in their lab. A project that is expected to stand firm because he should have a huge cast. We do not really know if it will come out, but there is an incredible connection King Heenok x Alkpote x DJ Weedim who is in the oven ready to burn our ears.